Did you know you can tell the mood of a bison "or buffalo" by its tail? If it is down and swishing gently, he is happy. But if his tail is straight up -- better run! The largest American mammal, weighs in at around 2000 pounds. Despite their massive size, they are quick on their feet, running at around 35 - 40 miles per hour if necessary. 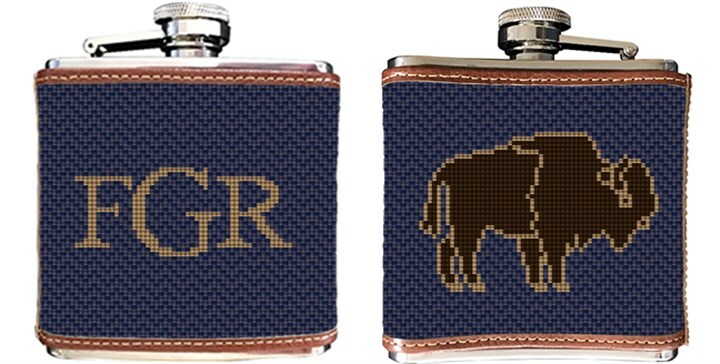 We have illustrated this American icon, on a needlepoint flask canvas, we think you'll enjoy, complete with a personalized monogram.